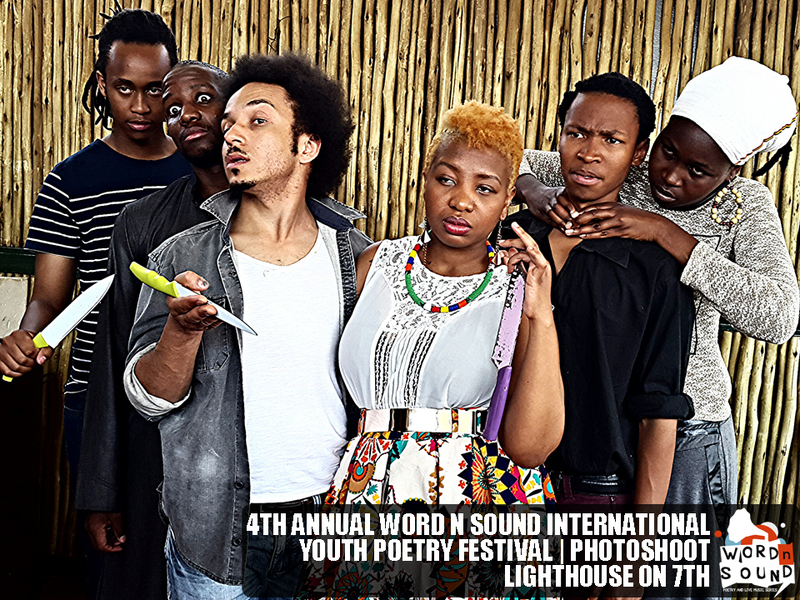 The South African poetry landscape is set to be ignited once again as the Word N Sound International Youth Poetry Festival comes to Johannesburg and Cape-town from the 3rd to the 8th of October 2014. The Word N Sound Live Literature Company, in partnership with The Soweto Theatre and British Council Connect ZA, present the 4th annual Word N Sound International Youth Poetry & Live Music Festival. Continuing in the tradition that began last year, the Festival moves between Cape Town and Johannesburg with workshops and performances by local and international poets. The Soweto Theatre marquee of the Festival will be lit by bright names such as three-time US slam champion Buddy Wakefield; one of SA’s most pre-eminent poets, Lebo Mashile; Spirit of London Awards ambassador & Gay rights activist, Dean Atta from the UK; celebrated poet and arts entrepreneur TJ Dema (Botswana), winner of the first national edition of Slam for Your Life at the National Arts Festival and South Africa’s first National Slam champion, Koleka Putuma, and hailing from Zimbabwe, poet, comedian and MC, Andrew Manyika. A new Open Mic Champion will be crowned in a breath-taking finale of the the yearlong spoken word development initiative, The Word N Sound Open Mic Poetry League. Bafentse Ntlokoa, Nkosinathi Gaar, Zewande BK Bhengu, Carlos NoLIFE Ncube, Xabiso Vili, and Thando Bhuthelezi will be vying for the coveted King/Queen of the Mic title, which for the first time in its four year history has six (and not 5) contenders. “We are thrilled to partner again with the Word N Sound Spoken Word festival. Our UK element, Dean Atta joins an already impressive lineup of South African spoken word talent. Through a project like the British Council Connect ZA, we are able to continue to develop cultural understanding between South Africa and the UK,” Tom Porter, British Council Connect ZA programme manager. Open Mic Slam Finale: After eight months of intense competition in the Word N Sound Open Mic Poetry League, 6 of Gauteng’s most exciting emerging spoken word talent, will vie for the coveted 2014 Word N Sound Open Mic Champion title. The top six contenders for this year are Carlos “NoLIFE” Ncube, Zewande BK Bengu, Bafentse Ntlokoa, Nkosinathi Gaar, Thando Buthelezi and Xabiso Vili. The second half of this day will also feature “A Live Literature Company” a multimedia performance by the Word N Sound company members who balance the difficult task of balancing being arts entrepreneurs and renowned poets. The 2 hour production features Afurakan, Mutle Mothibe, Andrew Manyika (Zimbabwe), Conelius Jones, Mandi Poefficient Vundla, Masai Dabula, Mutinta Bbenkele, Elysium Garcia, Xongani Maluleka, Bonga Ndziweni; Lwazi Mthembu, Mpho Khosi and hosted by literary critic and Poet Ayob Vania. Poetry Is: Showcase performances by local and international poets featuring Lebo Mashile, Buddy Wakefield (US), Dean Atta (UK), TJ Dema (Botswana), Andrew Manyika (Zimbabwe), Makhosazana Xaba and Koleka Putuma. Workshops Day: Facilitated by Dean Atta and Adrian Van Wyk TJ Dema and featuring local poets and literature practitioners. The workshop sessions will focus on Poetry As Social Conscious as a central theme. Poetry Is: Showcase performances by local and international poets featuring Dean Atta (UK), Afurakan, Adrian Different and Koleka Putuma. Poetry Corner: Returning to Johannesburg to wrap the festival, is an event that will feature a brief open mic followed by DJs and that will mark the end of the festival. The 4th Annual Word N Sound International Youth Poetry + Live Music Festival is brought to you in partnership with: Soweto Theatre and British Council Connect ZA and forms part of the part of SA-UK Seasons 2014 & 2015 which is a partnership between the Department of Arts & Culture, South Africa and the British Council. Tickets will be available at The Soweto Theatre Box Office and through Computicket. For more information, please visit www.wordnsound.wordpress.com and www.sowetotheatre.com. Check out the official Facebook event page. Soweto Theatre was inspiring on Saturday. Myself and Langa Mancunga attended. We loved it!